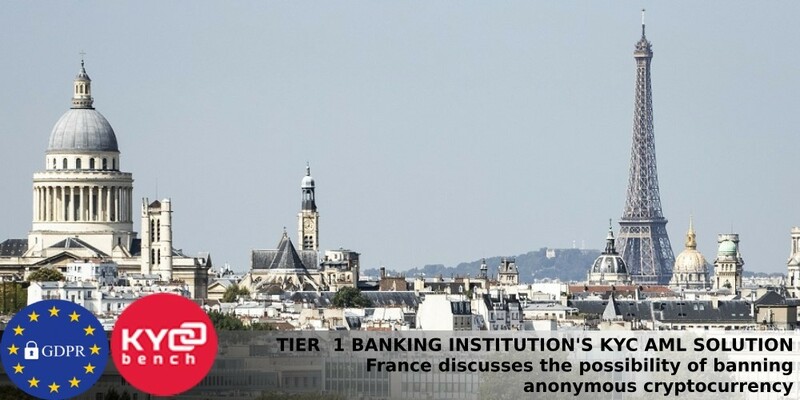 Turnover and trading in anonymous cryptocurrencies such as Dash, Monero, Zcash and Bitcoin Private can be banned in France. This proposal was made by the head of the financial committee of the local National Assembly, Eric Werth. According to him, the innovation will help the regulator to protect the interests of participants in the cryptocurrency market. “Given that the coins, whose protocols do not allow users to be identified, could potentially be used for fraud, tax evasion, money laundering and other illegal activities, it would be advisable to prohibit their distribution and trade,” said Eric Werth in his report. He also proposed to discuss the issue of prohibiting trade in anonymous cryptocurrencies on licensed exchanges. A similar ban on the use of anonymous cryptocurrency since June 2018 is in force in Japan. Recall that in December 2018, the French government refused to ease the tax regime for cryptocurrency owners. In particular, the deputies rejected the change, which included an increase in the amount of tax exemption from € 305 to € 3,000 or € 5,000 per year, calling the initiative “excessive”. Therefore KYC procedures are becoming not only popular trends, but necessity today in every country. KYCBench team is attending Paris Blockchain Week Summit and Conference this days, so we will find out all the news form the first sight – speakers are well known political and financial figures in France – Bruno Le Maire, minister of Economy and Finance of France and Jean-Pierre Landau, Honorary governor, Bank of France!